Before the outbreak of the financial crisis in 2009, the growth rates in Greece were very high – the average rates of growth were significantly higher than the European Union average. The crisis unveiled that this development was not real and it was financed by external public sector borrowing. This extensive borrowing led to the gradual increase of the fiscal deficit (the public debt reached the highest level in Europe – almost 120% of the GDP). under the presupposition that the country would implement very radical structural reforms which often came at an enormous social cost. Indeed, numerous structural reforms were adopted during the last four years in order to return to a sustainable growth path. According to the data provided by the Organisation for Economic Co-operation and Development (OECD), Greece has implemented the largest fiscal adjustment programme compared to the member countries of the OECD. Due to this programme, the Greek economy is showing again some encouraging signs of development. For the first five months of 2014, there was a primary budget surplus of 711 million Euros (with the target being 208 million Euros). The situation for the same last year was completely opposite: there was a deficit of 970 million Euros. In 2013, Greece had the lowest inflation rate in the eurozone and the consumer price inflation turned negative in March 2013. Unemployment rate shows signs of stability, even though it remains at unacceptably high levels (jobless rate remained stable at 27,8% for the first three months of the year compared to the same period of last year). The political model upon which the economy of Greece was based prior to the crisis, it is now obsolete. The policies followed for more than 30 years were responsible for the creation of a large and inefficient public sector with overlapped responsibilities and huge bureaucracy. Furthermore, the complicated tax system and the numerous laws were some of the barriers that deterred businessmen from investing in Greece. If Greece wants to have a more extrovert economy and a more business – friendly environment that appeals new investors, it is imperative to change its strategy and deliver a new model that guarantees a viable economic growth. The Greek government developed a new National Growth Model (NGM) which exploits some of the country’s comparative advantages: geography, climate, culture, human and natural resources. Tourism: it accounts for more 15% of the Greek GDP. The Greek government aims to increase this contribution. In order to do so, it is necessary to: a) invest in infrastructure works that will facilitate transportation, b) to exploit the tourist real estate (hotels, resorts, vacation homes, camping areas, etc), c) improve connectivity within the country – e.g. the airports costs in some of the airports are very high preventing tourists from entering specific tourist places. The tourist period should not be concentrated only in summer months but it can be expanded throughout the whole year. The overall aim is to provide for a quality tourist product that will make the tourists to spend more money on the local economies. Energy: The primary aim is to establish a robust national energy strategy that will set the following targets: eduction of CO2 emissions, improvement of energy efficiency in buildings, exploitation of renewable sources. Agro-food industry and food processing: Greek land offers a great variety of products with high nutritional value. Greece could have exploited this asset and could have penetrated foreign markets. Instead of that, the European markets sell a limited percentage of Greek products (only 2%, when the penetration of Italian or Spanish products is 10% and 13% respectively). It is important to deliver a strong product exports strategy that will standardize and modernize the food processing procedures (production, packaging) and secondly it will ensure a long-lasting presence at foreign markets. Logistics: Greece is a perfect logistics hub due to its geographical position. A national logistics strategy is already being developed. It will simplify the procedures related to the logistics activity, making easier the relative businesses to invest in the country. Pharmaceuticals: The Greek pharmaceutical industry produces generic drugs. It is a strong player that is ranked within the TOP 5 of manufacturing sub-sectors in terms of exports. Greece aims to withhold this position by promoting policies that help innovation (e.g. access to low cost financing or tax facilitation). 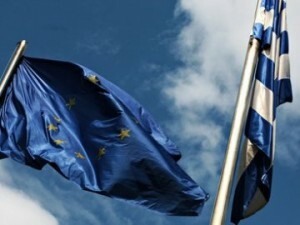 Research and Development (R&D), innovation: Provision of economical incentives for activities related to this field would make Greece the R&D center of the wider area. Shipping: it is clear that if Greece wishes to maintain its leading position in international maritime, it is necessary to establish an active shipping center responsible for providing solutions and incentives. Tradable sector: Greece can take advantage of the fact that its labour force is very well qualified and it can become a regional center for the provision of the specialized services in the wider Balkan and Eastern Europe area. Fiscal consolidation: this effort is continuous ever since the outbreak of the crisis. Re-organisation of the public administration and elimination of corruption: there is an on-going effort to reduce the size of the public sector and to fight corruption phenomena. Improvement of tax policy: The targets to be achieved are: decrease the corporate taxation, further cuts in Social Security contributions, reduction of taxes for specific economic activities like R&D, innovation, energy projects. Improvement of the justice system: The justice reform that is currently taking place, will lead to the acceleration of the justice award, because the judicial procedures will be rationalized. Privatizations of the public properties: the expected revenues will be used to reduce the public debt. Creation of a favorable investment climate and facilitation of the international trade. This is the most important policy adopted by the Greek government towards its ambition: appeal new investors mainly from abroad. It includes some actions such as simplification of licensing procedures, simplification of taxation for businesses, and establishment of the institution “Enterprise in Greece”. The crisis was an opportunity for the Greek policy makers to realize that the policies from the past could no longer be applied. The only viable way that leads to real economic growth is the radical change of the old economic model. The National Growth Model proposes a new way that things should be done regarding the major pillars of the Greek economy. This new model will be successful, if and only, if it eventually achieves two things: reinforcement of the competiveness of the Greek economy and creation of a business – friendly environment in the country.